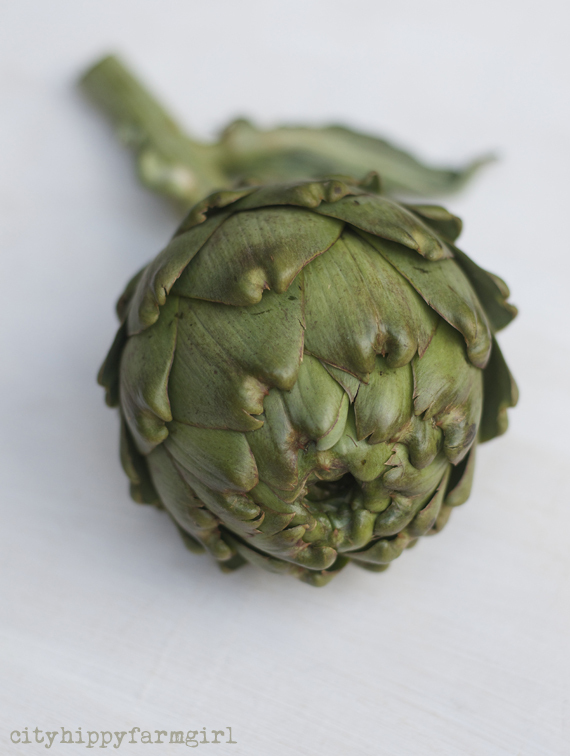 my first ever artichoke to cook…it felt very adult like. reading the spring edition of Earth Garden. light, and so much more of it. It’s there early in the morning and it’s there in the early evening. While this week certainly hasn’t been all sunshiney soft light, rainbows, and unicorns. I am really thankful for those small moments captured in these pictures. I’m also loving the fact that we have a functioning healthcare system in this country, (that while it isn’t without it’s problems, is pretty damn good as well.) And I’m loving that. 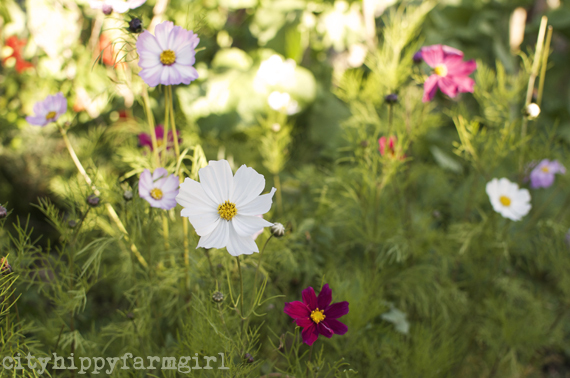 This entry was posted in Connecting with Community, Food Glorious Food, Rambles, Waffles and Digressions and tagged artichoke, earth garden magazine, loving, seasonal, spring by cityhippyfarmgirl. Bookmark the permalink. That’s a winning combination Ngan with your husband 🙂 Artichokes are funny things aren’t they. Visually I think they are stunning. I felt the same way when I cooked an artichoke for the first time! I’m a little concerned that you’ve had reason to love the health system, but yes, we’re very lucky. I’m loving watching my husband discover the changes in the garden. He gets very excited when he notices something different. We’ve been here almost a year and are loving the little back yard more and more. Sam that’s a wonderful thing to be loving. A year in the one spot is just enough time to really, really notice those garden differences, and to be getting excited about…well even better. I get excited about the changes my pots present, let alone a whole big garden! brydie..the strawberries have been amazing lately..i bought two kilos to make jam but they were so good we ate them fresh..i’m loving watching the progress of my seed plantings..the tomatoes are ready to be transplanted into bigger containers..and i agree with you about our health system..yes..it isn’t perfect but it’s pretty damned good especially compared to so many other countries..and that’s a great security particularly with the little ones like you have..
It’s the little ones that are making me be thankful for our healthcare system, so yes…a HUGE yes. I’m loving the light, the broad beans and the softness of the air. I know of what you speak with the health system: Tony’s had some scary issues over the last few months (now seemingly resolved) and I give thanks for our health system. Not perfect but pretty damn good as you say. They are cheap aren’t they….what does a strawberry farmer get I wonder (musing now too.) Happy Birthday to your daughter, and hurray for simple gatherings in the bush I say. As for Earth Garden’s new look, yep it is rocking, and I’m loving it lots! I’m loving autumn at Casa Debbio, except that I am about to tackle some weeding. Debra I’d offer to come weed it all for you…I might be awhile though. Tell more about the magazine. it looks intriguing. I’m loving cool crisp days In New York and warm Sunny days. A wealth of fresh veggies and a good walk. I’m loving the seasonal changes too, albeit of the autumnal sort here 🙂 And artichoke cooking…very impressive indeed dear Brydie. I once bought one with that intention but never actually got to it (terribly wasteful and so I’ve never tried again!). Oh, that quote at the end really sums it up! On a seasonal note, enjoy those strawberries! Our season is fast and furious here as well, however we’re diving head first into autumn. Loving these changes. It’s a good quote isn’t it. I never get tired of reading it, as I really do need a little reminding now and then. As for your moment, I soooo get that! I hope there are more moments like that to witness. Oh Narfy, 2am…sheesh. That really is the middle of the night. I’m wondering whether you go to bed super early or throw sleep in general to the wind. Makes my 5am sound quite lazy and moochy doesn’t it!. Loving this inspiring post, Brydie after a week without internet due to moving. I am loving being a suburbanite with its perks such as council waste and recycling pick-up, walking to park and mobile library bus! Closer to my bulk health food shop! Oh and better and cheaper internet connection! Warmer house! Newer kitchen and bathroom! Lots to be loving and lots of gratitude. I’m loving that I can get a dose of sunshine and brightness from southern hemisphere blogs as we head towards autumn. I can never bring myself to cut the artichokes as I love to see them stand above the flowers in the garden. We’re almost ready to start eating Jerusalem artichokes. I just moved home after 18 months in Tasmania and I want to look at my home state of WA through the same fresh eyes I had for beautiful Tassie. I think I fell in love a little but over there but I am now determined not to take all the stunning vistas around me here for granted. Just saw kangaroos hoping past my bedroom window in Dunsbourough. Life is pretty amazing. Lovely post… so much to be thankful for. And us, having an accessible healthcare system is a blessing, especially when it’s needed most!